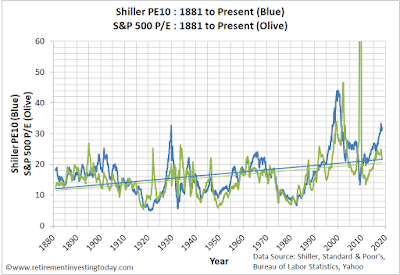 As I write this post the S&P500 cyclically adjusted price earnings ratio sits at 32.0 against a long run average of 16.9, Donald Trump is starting trade wars, the US market has been in a bull cycle for well over 9 years and closer to home we have a Brexit shambles playing out in slow motion that might just ruin the economy for a long time. Then on a personal front I’m just about to ride off into the FIRE sunset. Against this backdrop it feels right to reinvigorate and update the UK retirement income drawdown series, which I last posted about 2 years ago, to see how things are playing out. I hope it’s not relevant to my situation but you just never know. Unless you’re one of the lucky ones sitting on a defined benefit pension (although it’s likely you’ll also need some other income source in the early years if you’re going to FIRE) or you intend to buy an annuity (again, not likely for the early years of FIRE) or you’re just planning on living off the State Pension then income drawdown in FIRE (or even just plain old retirement) is relevant. This update of the drawdown demonstrations now has our retiree some 11.5 years in to retirement. We are now just over one third of the way through the period that the 4% rule is based upon and this simulation assumes retirement was taken on the 31 December 2006. If this date sounds convenient then you’re right. The date was deliberately chosen as it is the year prior to the commencement of the global financial crisis and so hopefully represents a modern worst case. Someday it may even go down in history as one of the time periods which saw a poor sequence of returns however of course that will only become clear when we are firmly looking in the rear view mirror many years hence. Over the years readers have suggested various alternatives for these demonstration portfolios however for long term consistency I want to make as few changes to the original assumptions as possible so will stick with them for now. Our retiree’s are drawing down at the stated withdrawal rate plus fund expenses only. This means any trading commissions, wrapper fees (eg ISA, SIPP fees), buy/sell spreads and taxes have to be paid out of the earnings taken. For example, our 2% initial withdrawal rate retiree is actually drawing down at between 2.1% and 2.2% dependent on the asset allocation selected. 6 Simple UK equity / UK bond portfolios are simulated for our retiree. The UK equities portion is always the FTSE 100 where the iShares FTSE 100 ETF (ISF) is used as the proxy. This fund currently carries expenses of 0.07% however this has been as high as 0.4% in the past. For the bonds portion a simulation is run against UK gilts (FTSE Actuaries Government Securities UK Gilts All Stock Index) where the iShares FTSE UK All Stocks Gilt ETF (IGLT) is used as the proxy and the bond type I have preferred in my own portfolio, UK index linked gilts (Barclays UK Government Inflation-Linked Bond Index), where the iShares Barclays £ Index-Linked Gilts ETF (INXG) is used as the proxy. All calculations are in real (RPI inflation adjusted) terms meaning that a £ in 2006 is equal to a £ today. the 4% rule doesn’t consider fees where I’m capturing the OCF’s of the ETF’s which makes my withdrawal rate very slightly higher. Two years ago, after 9.5 years of retirement, between 5% and 29% of investment wealth had been lost in real terms. Two years on and the story has improved very slightly. The 75% FTSE 100 / 25% UK Gilts portfolio remains the worst performer, now down 28% in real terms, with the 25% FTSE 100 / 75% UK Index Linked Gilts remaining the best performer, now down 7%. If I was one of those worst performing portfolios, knowing the bull market we’ve just been through and looking at a 30 year retirement, if I hadn’t already I’d still be starting to look at ways to scale back spending or maybe even build a small side income. If I was a 40 year retiree, which is more my situation, then I’d definitely be taking action. Of course it might all come good but I wouldn’t be sitting around hoping for the best. A 3% withdrawal rate after the expenses of the ETF’s was chosen as it is very close to Wade Pfau’s research which for a UK investor with 50% UK stocks and 50% UK bonds showed that historically a safe withdrawal rate to not extinguish your wealth in a 30 year period was 3.05%. Our 3% drawdown retirees, or £3,000 withdrawn per annum, which are loosely following Pfau’s simulation with 50% equity / 50% gilts portfolio’s are up 2% and down 10%. Even for a 40 year retirement that’s not looking to bad to me. Looking over the 6 portfolios the best case portfolio is now up in real terms by 9% while the worst is down by 13%. This is an improvement on two years ago which were at best up 8% while at worst were in the red wealth wise by 17%. I’ve put this withdrawal rate in as it most closely represents the situation I have settled on and will go into FIRE with. I’m planning around a 2.5% withdrawal rate and a 40 year retirement. My FIRE portfolio is also now set. Against these demonstration portfolios asset allocation wise it would sit almost midway between the 50% FTSE 100 / 50% UK Index Linked Gilts and the 75% FTSE 100 / 25% UK Index Linked Gilts. If these were my only asset classes and if I had have pulled the FIRE’ing pin back at the end of 2006 then in real terms my wealth would now be up around 5% in real terms. Ideally I’d like my wealth to not deplete in real terms, it’s one of the reasons I’m going to try and just live off dividends , so a 5% wealth gain would have me in a good place. This should be a very conservative drawdown rate which means it requires a lot of wealth to support. For example if you desire £20,000 of drawdown per annum then you’re going to need a cool £1,000,000. At this point that is also how it seems to be playing out with our retiree probably having worked too long before retiring. The worst portfolio is up 3% with the best now up 24% in real terms. On the positive side even if a Global Financial Crisis style event were to occur not long after I FIRE next year it looks my portfolio and assumptions might just be able to weather such a storm. RIT I have read thru twice and cannot understand how someone drawing 4% ends up below the start amount when average annualised returns for UK 50:50 equity/gilt portfolio over past 10 yrs is 7%. Even allowing for 3% inflation this would leave start amount level? I wonder if the model shows real returns after inflation but actual withdrawal is shown as nominal? Does the model allow for the effect of rebalance between equities/bonds? It would be interesting to see the outcome using global equities which have provided better returns and which would reflect many investors actual portfolio. 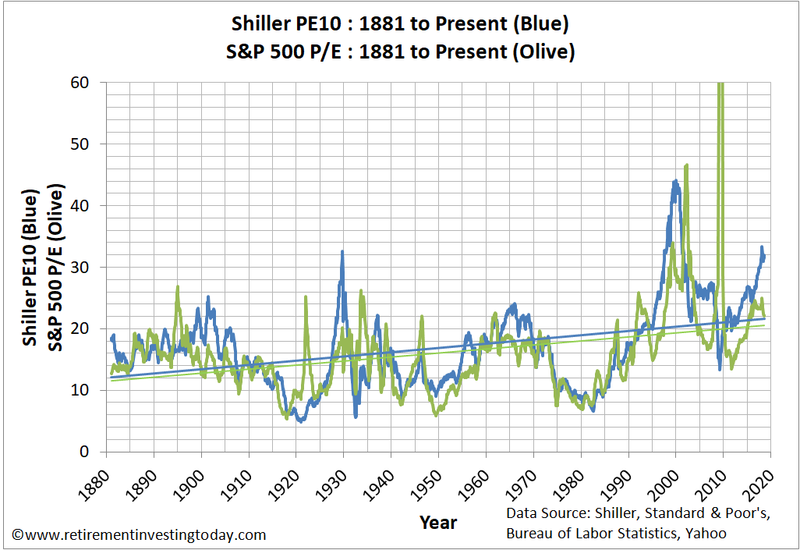 For example S&P 500 has returned average of 11% since 1973. The model does allow for a rebalance every year and both wealth and spending are corrected by inflation each year. The formula I'm using to index a year is ((previous wealth - annual spending)*(1 + annual return))/(1 + annual inflation). So I'm assuming annual spending is pulled at the start of the year and spent out of a derisory savings account. Do you agree with the maths? What I believe it's showing is why it's so dangerous to look at average annualised returns to calculate an appropriate withdrawal rate. Instead it becomes a sequence of returns problem. To demonstrate with the 4% drawdown example. By the end of 2008 the wealth of a 50:50 equity:bond person is already down circa 20% so the withdrawal rate is now already at 5%. Without adjusting spending or without a super Mr Market recovery in the next year/s it then becomes very difficult to recover from. I think it nicely demonstrates why the sequence of returns are so critical in the first 5-10 years of FIRE. Thanks RIT. Just looking at the 50/50 (red line) it stands at c£89K in mid 2010 and falls down to c£76K today. A balanced UK portfolio has returned 56% over the past 8 yrs and we have taken out 32% total income withdrawal so it just does not look correct to my eyes. Just reviewed my own modest portfolio returns over the past decade which included a 30% 'hit' in 2008. I have taken 4% each year but the pot has more in now than when I started and yes, my equity level has been c60% and returns c9%. You will have a record of your actual portfolio returns for each year since you started your blog so it would be instructive to see how a £100K portfolio would fare with 4% withdrawal based on your actual figures. - The 50% ISF : 50% IGLT demonstration portfolio above has returned 72.2% which is an annualised nominal 7.0%. In real terms it's an annualised 4.0%. - In comparison my more diversified portfolio is an annualised 8.2% which is a real 5.2%. - Our retiree comes into 2010 spending 4.51% because of inflation adjusted spending and a previous 'poor' sequence of returns. In 2010 the real return is 5.9%. So far so good. - In 2011 spending is 4.47% because of the previously favourable year but the real return is only 1.3% so now we're going backwards in real terms. - In 2012 spending is 4.62% but again the real return is only 2.1% so still going backwards in real terms. - In 2013 spending is now 4.75% but the real is still unfavourable at 3.8% so still going backwards. It doesn't actually get favourable again until 2016 when spending is now 5.19% but real return is 13.2% but by now the damage is done. Have you taken an inflation adjusted 4% annually and do you have more wealth now in real or inflation adjusted terms? In any event, as you start the journey with a withdrawal of 2.2% and maintain your average real of 5.2% you have a BIG safety margin and should have plenty spare to reinvest. To answer the last point, I am not sure what my personal inflation rate is...could be less than RPI but capital has appreciated by 25% so maybe level in real terms. Thanks for taking the time to put tgis together. Hopefully you can post again in 5 more years. Hi RIT, thanks for the update in your SWR series. Perhaps I'm being overly sanguine, but I see quite a few positives from the results. The worst-case performer (4% / 75% equity) is down less than 30% and we're at the one-third stage of a 40 year retirement. Unless we are talking about a very early retiree (around 40yo) then they'll be getting pretty close to being able to annuitise and guarantee income for life (if they'd want). And this is in a pretty awful set of sequence of returns. - Sequence of returns risk is your worst-nightmare, even a subsequent long-bull market won't patch up all the damage if you retire on the eve of a major market crash. - The much derided one-more-year is a great (the best?) way to help take out a lot of the pressure in the decumulation-phase. That extra capital is a huge help in making retirement more secure. I agree that in drawdown the critical piece is the sequence of returns with poor returns early being the big problem. It's why I've mentioned it many times over the years. In contrast during the accumulation phase it just doesn't matter providing you get the overall annualised return the order is of no concern. As your pot is now 30% over target, will you be withdrawing your 2.5% and spending the extra income, switching to a lower SWR at a lower risk profile, or raising the risk profile while keeping the withdrawal rate constant in cash terms, and re-investing the excess to build capital? If you ran the models withdrawing £4000/3000/2000 pa come rain or shine, how bad does it get? The plan is to buy a nice home and then just live our lives to get the quality of life we desire and know. I'll then check spending against the allowable real income available to me. If we're under then we're golden. If we're over then some thinking will need to take place. Given the research I've done I think our spending will actually be under plan and will start (after initial settling costs - home, car, extensive decoration, PV panels etc) at closer to 2.2% (Mr Market permitting). Whether we then decide to open the taps will depend on whether it improves our lot. I suspect we'll be building capital but only time will tell. Great article. That said if I was fully invested and dependent on the stock market for my 2-4% withdrawal rate over a 40 years period I would start off in retirement with some side income (doing something enjoyable but still leaving plenty of time for leisure pursuits) that would go to paying a significant amount of my monthly expenses and then start (or delay to a later date) the withdrawals at a slower rate and increase them over time once I am very safely out of the risk of early fund depletion. This would be easier on my mind than having to find a side income under the stress of a stock market crash after having lost a chunk of my money. One wonders what the next 40 years could be like where historical returns and safe retirement rate rules may not be valid in a world undergoing massive change as a result of the IT revolution/globalization/ageing population/rising inequality , etc not to mention the associated populist political upheaval it is bringing in the developed world (Trump, Brexit, etc). I think this can only increase over time. Having lived in developing economies for the past 20 years you get used to seeing this type of upheaval, irresponsible populist governments, economic mismanagement, regular boom and busts that while living in the developed world you think can never happen here, but, who knows what the future holds?. Additionally I think that sitting around doing nothing in retirement will get boring and also quite stressful so finding something enjoyable to do part time is very good for health and wealth. Still very enjoyable lifestyle compared to working full time for somebody else in a corporation. I would not be surprised if I end up working again. I just wanted it to be optional and not necessarily for monetary reward. I also have a slight complexity that we'll pitch up in a new country where we won't speak the official language. Your thoughts about massive change in the future is an interesting one. Of course we've also seen massive change in the past with for example political upheaval leading to world wars. Whether the future rhymes or not I guess only time will tell. Agree with you that sitting around would get boring and I'd suggest lead to early death. I have no intention of that occurring. Thanks and good luck with the move. You are still relatively young and can easily learn a new language and am sure can get a business started. Living in a country where a foreign language is spoken is the best and quickest way to learn as long as you make the efforts to integrate with the locals and take some classes for the first few months. My wife and I did that and it took us around 18 months to be able to start communicating & conducting business pretty fluently. Some people can do it even quicker. Many new doors and opportunities will open up by learning the local language. Thanks for sharing your experiences and thoughts - they greatly help me in my ongoing retirement planning & thinking. This is some great analysis, but whenever I see posts like these I wonder why the portfolios are so poorly diversified? I would never have the equity portion of my portfolio solely UK focused - let alone based only on the FTSE 100. Perhaps this is just for simplicity? Anyway, this is a great post - I think it really highlights the importance of a conservative withdrawal rate and proper diversification. The portfolio above is just done as a simple demonstration portfolio (as you allude) and because I've been publishing this series for a while now. I agree about the need for diversification and you can see the benefit of that with my own personal portfolio in my response to diy investor above where over the period shown I'm 1.2% annualised better off than a similar UK based portfolio. This also plays out in the Wade Pfau link above where switching from a domestic UK portfolio to a Global portfolio increases the SAFEMAX percentage from 3.05% to 3.26%. I think it’s quite sobering to see that even with the fantastic bond returns seen over the last ten years (10 year gilt yield has fallen from 5% to c1.5% - equivalent to around 25pc increase in nominal terms) the 2.5% withdrawal rate is only breaking even. So starting at today’s yields would be earning c3.5% less per annum on the bond portfolio. If/when ;) we get another equity crash I doubt yields will fall to the same extent either in which case bond returns wouldn’t provide as much of a cushion to the equity falls. Would be interested to see how the analysis plays out with a starting bond yield of 1.5%, all other things being equal, though would require subjective assumptions about how yields move from there. You have a choice. High risk assets, especially equities in the US or houses in London, look awfully expensive. Low risk assets, e.g. gilts, offer a lousy return. Therefore ...? Brilliant illustration and it helps me understand my options. I am on the edge of deciding whether @ 50 years old to take a £15.7k pension index linked a gold plated DB scheme or a £700k transfer value. Access at 50 is a protected right and due to bulk transfer rules one I can carry into my SIPP. My circumstances and any 'advice' is not inferred because my reality is I also have a large AVC £140k and absolutely will take my 25% out and have significant passive income on which I could live indefinitely. This is a literal number question and may provide some insight why many are leaving our scheme in droves. So parking what Personally I 'should' do....this is rather an analysis. £701k sounds a lot but I must pay for advice, I must invest via the adviser with a 1.5% initial fee and it must go into a Pru SIPP which I guess incurs 1.5% fees a year (allow for my compulsory IFA annual fee). I can release myself from fees in years to come but not initially. But 2.5% rule affords me £17.5k which is better than the pension....allows flexibility and better death protection for family. Is this an actuarial no brainer or am I missing something? Ps I absolutely want nothing left at 85. My attitude to risk is anyone who moans about outliving their wealth has yet to see friends or family die young who were not afforded that privilege. I am not 'right' on that point but for me, that is my desire. wow - 1.5% fees per year will eat up that 2.5% withdrawal pretty quickly. Not sure I would want to go down that road. What "value" do you get for paying 1.5% ? Seems the main beneficiary of this option is the financial company. Very little. Have a look at SIPP charges in the advised world. 1.5% is nowhere near the highest. One firm charges 4.5% at deposit, 2.13% pa and a huge early withdrawal penalty for first 7 years ie 7% fee in first year. I named Pru which is a tad unfair because they are one of the better firms in terms of cost and transparency. I have little choice if I am to take the transfer value....good old government protecting my interests. And if I am to access 25% at 50 then I have to buddy. And if I buddy I need to do what the other colleague is doing. As I say I can transfer to a low cost provider after a few years but not initially. These higher prices are justified by 'advice, and top level fund managers' generating 8% returns. Yep....no thanks. I would happily pay 25% fee of all profits they make, funny though no one takes me up on that offer. So for me it's the £15.7k v's £701k but know initially some fees will rack up. All this perhaps does change my question....but it illustrates why RIP is so right to drive his costs down so much. Do you receive any other benefits from your DB index linked pension ? eg widow's benefits etc . Is the linking to CPI or RPI ? I think you would be taking on quite a lot more risk by taking the cash to put into a SIPP. Inflation proofing -even if to CPI - is very expensive to buy. Even 3-4% pa CPI inflation over the next 3-4 years is likely to raise your income above anything you might be getting from the SIPP. Also - you have other assets - so you can gain stock market exposure other than through your pension . What are the prospects for inflation ? What are the prospects of a near term ( 2-4 years ) fall in the stock market ? I think it is a no-brainer. Thanks. Always interesting to have perspectives from others who are less close to me....genuinely makes me consider other options. The point re RPI is well made because our pensioners in payment received 3.8% pay award this year....colleagues at work were lucky to get 1%. Will stick to the main forum thread rather than digress to my situation. For me...and sticking to the thread I agree about the current stock markets. I appreciate the 'time in the market rather than market timing'....but have to say I am very bearish on property and equities at the moment. And that may sway me.....if the FTSE (etc) was at 4000 I may feel quite different. So if I were invested I would be worried....but equally as worried if I then came out of the market in case things keep going up. I retired at 49 with a 3 to 4% target swr. In November 2007, sequence of returns was unkind ! I had a 95% Equity to 5% cash with a duversified portfolio and a share of a directly held commercial property. Shares nosedived by 45/50% by March 2009. A test of nerves to say the least! The property income was useful ( although that failed when the lease ended but now back on track) a little bit of a side hustle, a little bit more property with a 100% mortgage all helped thro the market falls, dividends help up very well. Long story short, capital in inflation adjusted terms is up 100% , income is up about 70% in real terms, so far so good. I am not sure that managing ones own pension income is for the faint hearted....to get the economic benefits requires a very high risk tolerance when capacity for risk is far lower for most people. A cynic might wonder whether the lyric 'time in the market rather than market timing' is from a song sung by investment managers who make no income from the customer while his money is stored as cash. The only profound problem with market timing that I can see is that a wonderful opportunity might be so rare as not to occur in someone's investing lifetime. Hi RIT - you won't like this - but I think you have to revise your plans ! Your charts demonstrate clearly the outperformance of ILG's against conventional gilts over the selected timeframe . I am giving this link which is quite straightforward and is more for the benefit of your followers as I am sure there is little new in it for you. You are planning to purchase your house with a combination of cash and IL savings certs ( NS&I ). I think you should hang on to your ILSC's for as long as possible . They are RPI linked , have absolutely no expenses attached, are almost a cash equivalent ( but RPI inflation protected cash ), they are irreplaceable ( HMG realise what a good deal they are for investors ) only tax liability would be IHT ( hopefully not relevant yet ) , no need to declare on a tax return ( at least in the UK ) no interest paid so no tax deducted at source . So you need to source your house purchase cash from another source . What about taking the tax hit you have alluded to on some of your Australian equities and sell some of them ? Is the tax hit on selling them likely to get larger if they increase in value ?- if that is so gives an even better reason to sell them now . I think RIT is nuts to buy a house using cash and I've said this on several occasions. For someone who micro-optimises on expenses, taxes and so on, it seems odd to turn down free money. I use a mortgage of 1.7% and park all the equity that could pay off the mortgage in funds instead. I collect the dividends and capital gains while my debt stays the same. There is some risk in this I admit, the market could take at the same time as rates rise (the two could even be highly correlated) but it is a calculated risk and I think worth it. I tend to agree with you . However - added to the above risks there is also currency risk as - as far as we know - RIT's family will have all their earnings in £'s and nearly all of their expenditure in Euro's. A mortgage in euro's adds to this risk. I would also look very carefully at all the rules,regulations and legislation that applies to mortgages in whatever country they end up in. As regards RIT being averse to borrowing - you also have to look at why he has never bought a house up to now . Personally, I think owning your own home outright is a good diversification away from stock markets and reduces risk. Its a tangible asset that will grow in value and also offers income possibilities if it were ever needed. "any trading commissions, wrapper fees ... buy/sell spreads and taxes have to be paid out of the earnings taken. For example, our 2% initial withdrawal rate retiree is actually drawing down at between 2.1% and 2.2% "
I'm impressed. Vanguard charge 0.15% on top of - for example - 0.38% for their Global Small Cap Index Fund, or 0.25% for the Emerging Markets ETF. Do you mean that fund/ETF charges like the latter are excluded from your 0.1% - 0.2%? I imagine that RIT is including fund/ETF charges in the 0.1-0.2%. Looking at my own portfolio the overall charge is 0.22% including both platform and fund fees. I think RIT's is similar. If you hold ETFs in particular, platform fees can be negligible (provided you don't trade often). For example, HL caps platform fees at £45 for an ISA and £200 for a SIPP if you hold shares/ETFs/ITs only. Thanks. So is there an Emerging Markets ETF that's cheaper than Vanguard's held in a Vanguard ISA (0.25% + 0.15%) but likely to be as good? You're welcome. Yes, there's an iShares ETF (ticker: EMIM). It tracks the MSCI EM index (rather than FTSE like Vanguard) so it's not exactly the same. OCF is 0.18%. Thanks again. Now all I need to do is a bit of market-timing, and wait to buy it after the forthcoming Wall St crash. I think that what you've shown here RIT is that the only thing that you can control are the expenses you pay. You can't control the stock market and performance but you can control fees. Some great points in these comments. The FX risk of EUR spending and GBP income is return-free. Rit, if there's a 50% chance come back to England then the risk neutral allocation is 50% EUR. I'd guess you knows this but some bias is stopping you. It would be nice if mortgage rates were bad so a cash purchase would be the correct decision. But rates are the best they've ever been so I'd get a mortgage too. Again I think it's classic debt aversion bias. Maybe the feel-good factor makes it worth it but I'd want to make the best choice financially. Very interesting post and prompted me to do a similar model/illustration for something matching my approach. Quick background: I'm planning to stop working on May 31st 2019 (ten months to go) and then live on the income from my investments. I've been saving hard since 2010 (prior to that was saving half-heartedly) and have built up a portfolio of equities that provides enough income for me to very comfortably live off. Most (but not all) of the equities are in my wife's and my ISAs - thus that income will be tax free. I have always used the full ISA allowance for both of us each year. I do not plan to draw down a specific % each year. I will take the dividends and live off whatever amount that comes to - if the dividends drop, I'm confident I can manage costs down (Less holidays, less take-aways etc) I'm not intending a frugal retirement - but I can live frugally if necessity dictates. Any excess income I do not spend, will be reinvested. Thus my hope is that the capital will never be eroded and the dividends will increase over time, keeping up with inflation. Based on your post - it prompted me to wonder "What if I'd retired at the end of 2006 with my portfolio?" And so I've simplified my portfolio into something I could test. Currently my investments are mostly split between Investment Trusts and a couple of Vangard funds/ETFs (about 30%) and about 40 Individual Shareholdings (about 70%). My simplified portfolio is based on my largest holdings, which I've held for at least 5 years. I've built a test portfolio of three ITs, assuming an initial purchase of £10,000 of each IT and 14 shares, assuming an initial purchase of £5,000 each share - thus giving a start value of £100K on 31st December 2006. These are my investments in ITs: Henderson Far East IT (HFEL); Murray International IT (MYI); Merchants UK Income IT (MRCH). And the shares: BAE Systems (BA); BP (BP); British Land (BLND); Centrica (CNA); Glaxosmithkline (GSK); HSBC (HSBA); National Grid (NG); Pennon Group (PNN); Rio Tinto (RIO); Royal Dutch Shell (RDSB); Scottish & Southern Electricity (SSE); Standard Life Property (SLI); Tesco (TSCO); Unilever (ULVR). So based on buying £10K of each the ITs amd £5K of each of the shares at the end of 2006, my portfolio would be valued at £99905.16 (bit less than £100K because I rounded down to an integer the number of shares I bought for £5K/£10K) and the dividend income they would produce for the first year would be £3438.55. So this leaves me confident of my plan moving forward and I'm hopeful that I will be able to safely take income of considerably larger than 2.5% from my savings. But the point of this example is that it's buying shares just before a stock market crash. The fact that it can continue to generate an income that grows at a rate beating inflation, is the thing that encourages me. In fact, in this example, the capital HAS NOT kept pace with inflation - but seeing as I'm a buy and hold forever kind of investor, that doesn't overly bother me. I see that your dividend income in cash terms increased during the years when the market was going down. Thats interesting. Is this typical of dividend payments when markets crash? What was the estimated management fees during this time? I don't know if it's typical - certainly the shares in the example portfolio were a mixed bag - all the following cut dividends at some point: BP; BLND; CNA; HSBA; RIO; SLI & TSCO. Worst of the bunch were HSBA, TSCO & SLI where both value of holding and the dividend produced are less now than 11 years ago. But the majority have increased their div each year. Management fees: during the time I've been with Interactive Investor. In 2007 the fees were £80 per year (covered both my and my wife's account). Since then, they have increased fees and removed family linked accounts - so for the ISAs and trading accounts I'm currently paying £180 a year. On a £100K invested - that's less than 0.2% cost. For me on the cusp of retiring the cost a much smaller percentage. So, just looking at the 10 yrs for ISF - which takes in the period just before the crash- the annualised returns are 6.8%. Looks like your returns for the 10 yr period may have been in the region of 5.5%. It just looks like a lot of work for less return compared to the FTSE 100 index. As I quite enjoy spreadsheets and research on shares - I think the work is worth it! Your sample period from Dec 2006 isn't that bearish a scenario. In sequence of return terms, your sensitivity to returns tend to be driven more by the first decade more than the first few years. So the massive equity collapse followed by rapid bounceback wasn't as damaging as it may seem. Government bonds, especially linkers, produced positive returns over both the bearish and bullish periods. Inflation was fairly low. Compared to an equivalent simulation starting in the late 1960s, the last decade has been fairly pleasant. The 1970s was a far more difficult period with much higher inflation, 3 recessions in the US etc. Both bonds and equities underperformed at the same time (the opposite of the last 8 or so years). So I think that using 2.5% is not really that conservative. Given that starting SWRs are reasonably well correlated with bond yield and CAPE ratios, you are into uncharted territory in terms of possible low SWRs at this point. Given UK demographics, you also need to consider the need for higher taxation. Merging NIC into income tax could put the base tax rate at over 30%. A 1% wealth tax would knock 1% of your SWR instantly for any part of your wealth above the floor etc. I would say that using 3% is aggressive and 2% might be more sensible. Dividends don't drop much in cash terms during crashes. See http://siblisresearch.com/data/ftse-all-total-return-dividend/ and try to imagine the 2009 surge to 5.3% mediated by the fall in asset value. So if you are a buy and hold investor, your income is robust even if the capital values aren't. Where you are exposed is if a crash occurs in your last 5 years of retirement, where you are spending capital fast. Because Safe Withdrawl Rates people worry over like to tell you how much you can spend from a pot, so as not to run out before death. So like mortgages its mostly dividends to start, capital at the end, to give you a figure comparable to inflation-uprated annuity, but without the certainty, or the life company costs. That's an absurd approach - no healthy person in their 50's has a clue when they'll die. Only safe assumption is 100+, which in withdrawal rates is near enough assuming forever. Would living off dividends work as well if your had more international diversification? I understand that US dividends tend often to be miserly or zero. Yet if you don't have plenty of overseas exposure are you taking unnecessary risks? I don't know the answer. Maybe a big Wall St crash would show that international equities are highly correlated - at least in a crash - and so being heavily weighted in the UK wouldn't imply extra risk. But why risk it? It highlights some of the big US dividend payers that Warren Buffett has invested in - like Heinz and Verizon. I normally prefer higher yields from my stocks - but this ETF provides some good balance for my higher yielding UK stocks. I also have significant holdings of Henderson Far East IT (Yield 6%), Murray International IT (Yield 4.3%) and Aberdeen Asian Income Fund (Yield 4.4%) - all three Investment Trusts have a long track record of increasing dividends. Thus the income from the UK side of my portfolio is hedged against the UK economy collapsing through significant international exposure. Nice yields on those funds. But its expensive - the Aberdeen Asian one has a management fee of 2.04% which is almost 50% of the yield. Henderson Far East costs 2.2% annually. Even the Vanguard one is almost 1%. Rather pricey diversification. @ Paul Foster. Will your children really enjoy the fruits of your hard won wealth ? I suspect not very much if they are already expecting it ! Maybe you need to disavow them of that expectation , give yourself a break , stop worrying about restricting yourself to living off the dividend income and allow yourself to spend some of the capital as well . Having most of your ( joint ) wealth in ISA's is a great situation to be in . ISA's are dealth with tax wise very favourably on first death . Normally the surviving spouse would receive the deceased's ISA portfolio - with the price automatically rebased up to values on the date of death. However - if your joint portfolios are worth say £ 1 million on second death - in fact they are only worth £ 600,000 - and " George " - one of the main beneficiaries from your estate earns himself £ 400,000. But - who is George ? The Tax Man - of course . If you want your children to benefit start giving some of your wealth away while you are still alive - and hopefully they might look after you if you run out of money ( obviously you could not make that a certainty otherwise you would not have given the money away unencumbered ) Or you could gradually shift your ISA portfolio into AIM shares to defray IHT as well. my approach now is to build up the dividend paying ETFs in my non-Pension related accounts (ISA/non-ISA) to mean that dividends become part of the cashflow in retired years - short-term cashflow can be stored/released from Ratesetter/similar and reinvestment into ETFs can be made by discretion. If dividends fall (or spending goes up) you can start selling - but the first rule should be "don't sell" in retirement. Perhaps the main thing to consider from today forwards is that, whereas in the quoted examples above it was the case that interest rates dropped from a significant level to next to nothing (and therefore Stocks were able [on a capital basis] to act as a balance against the fall in Shares), the opportunity for this to repeat is, because interest rates today remain at a very low level, just not there. Thus it would appear that, today, investment in Stocks is highly likely (almost guaranteed) to be a loser (on a capital basis). Given this situation, what possible rationale is there for the typical 25% Stocks, 75% shares portfolio today? I do not claim to know what to do instead - it just seems that the conventional advice is, presently, likely to be incorrect.